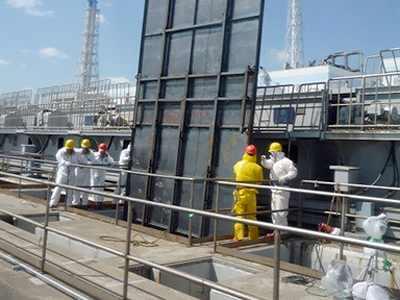 The operator of Fukushima-1 has started transferring highly radioactive water from the nuclear power plant’s basement to a waste processing facility to prevent ocean contamination and implement the “cold shutdown” plan. 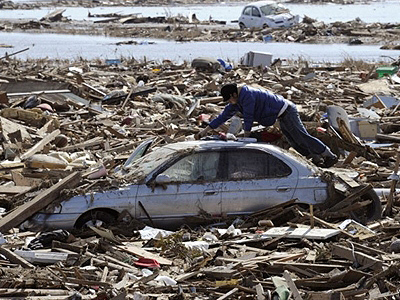 ­TEPCO officials are afraid the water may escape to the ocean if not pumped as soon as possible, Kyodo news reported. The drainage of the basement in reactor 2’s turbine building and the adjoining underground tunnel will take at least 26 days. The first 10,000 tons of water will be pumped to the waste processing facility near reactor 4’s building. Before the operation started, the industrial basin was strengthened to prevent any possible leaks. The drainage process is aimed at enabling crews to work to restore the cooling functions at the troubled reactors. The total amount of radioactive water currently accumulated in the plant is estimated at about 67,500 tons, and the quantity is expected to rise since more water is being pumped into the reactors to restore the cooling system. 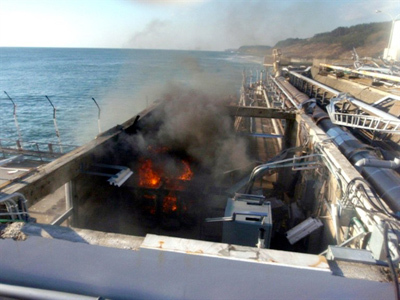 Chief Cabinet Secretary Yukio Edano said the cooling must carry on in order to prevent total meltdown at the crippled nuclear power plant, Kyodo news reports on Tuesday. 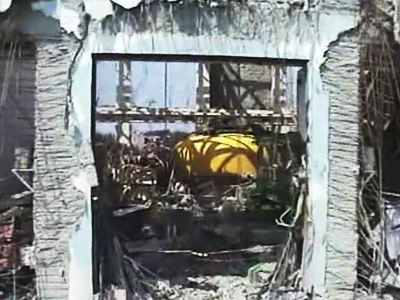 ­On Monday, for the first time since the beginning of the Fukushima nuclear disaster, the situation inside the plant has been made public with TEPCO releasing radiation data and photos taken on-site by robots. The radiation levels discovered at reactors 1 and 3 were measured at around 50 millisieverts per hour, NHK World reported. That means that in just five hours the person working in such an environment will reach the maximum legal limit for nuclear workers in emergency situations. 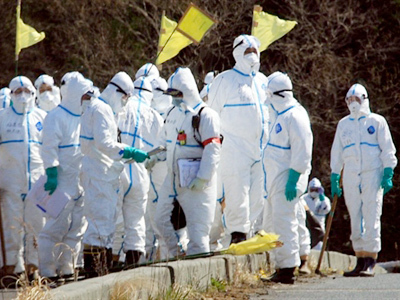 One of the reasons TEPCO is using robots is that the company still hopes to find some locations with radiation levels low enough for workers to perform decontamination tasks. Hidehiko Nishiyama, a spokesman for Japan's Nuclear Safety Agency, pointed out that the radiation would not hamper progress towards achieving a cold shutdown of the troubled plant within nine months. 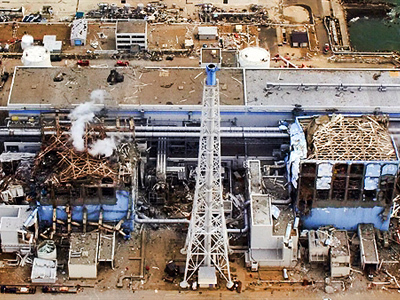 On Sunday, TEPCO’s Chairman Tsunehisa Katsumata shared the company’s plans to put special covers on the heavily damaged buildings of reactors 1, 3 and 4. They also plan to install a new cooling system at the troubled facility within three months and achieve “cold shutdown” of the plant in six to nine months. Tsunehisa Katsumata also said he and the company’s President Masataka Shimizu are considering resigning from their posts over the crisis.